I am starting an ongoing series of posts highlighting interesting movie theatres and drive ins from small towns in Saskatchewan. 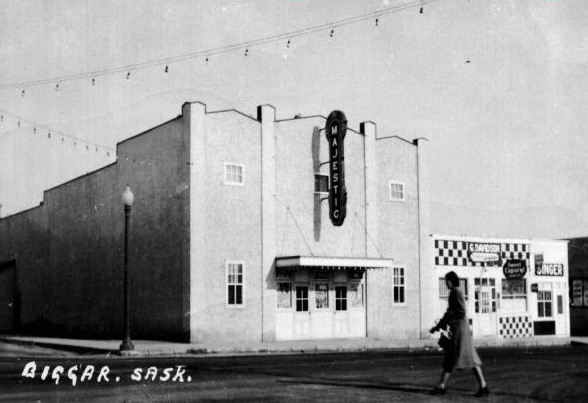 I am not an expert historian on many of the theatres in Saskatchewan, nor do I claim to know everything about them, but I feel myself being drawn to the history, simplicity and quaintness of these theatres (some of them built almost a hundred years ago) as I process my thoughts on a new film. 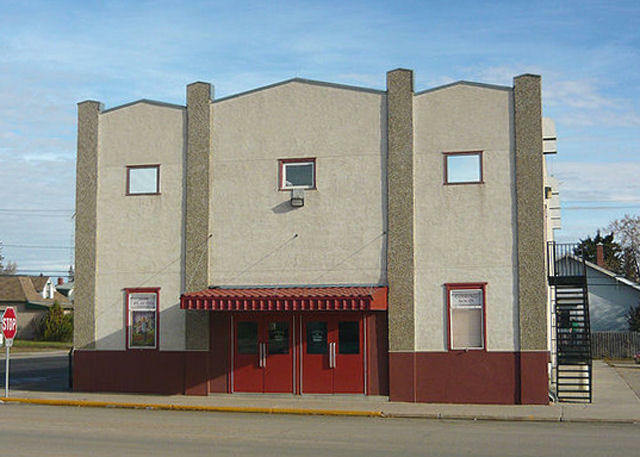 The first theatre I will spotlight in this series is the Majestic Theatre in Biggar, Saskatchewan (Biggar’s slogan: New York is Big, but this is Biggar). The Majestic was built in 1911 and has been in operation for most of its hundred years. The theatre closed in 1986 and was dormant for five years until an non-profit corporation, the Biggar and District Theatre Project purchased the building and renovated it. It opened its doors once again in 1995 and now serves as a space for community events, weekly movies, and features a multi-purpose venue for stage plays and music concerts. I hope to visit this theatre soon and get to meet the volunteer group of the Biggar and District Theatre Project. Biggar is located on Highway 14, 95 kilometers from Saskatoon and is also the home of Sandra Schmirler, Olympic gold medalist in women’s curling. These posts will keep on coming … but for now enjoy the snacks!